Dr. Jeffrey P Fish is a 1981 Crosby-Ironton High School graduate, and graduated from St. Cloud State University with a B. A. in Biomedical Science. He is a 1991 graduate of the University of Minnesota Dental School in Minneapolis and is a member of the Minnesota Dental Association and American Dental Association. In his youth, Dr. Fish was a patient at the dental office that he now owns for over 13 years. 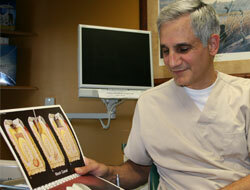 He has been practicing general dentistry in Minnesota for nearly 25 years. When Dr. Fish is not in the office, he is an avid hunter, fisherman and also likes snowmobiling and golfing. He enjoys time with his wife, two daughters and dog, Turner the Lakeland Terrier. Heather is a graduate of Central Lakes College with an AAS in Dental Assisting. 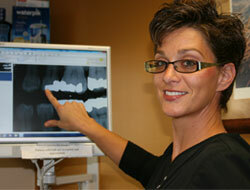 She has been practicing since 2000 and has been with our practice since 2003. She is an active member of the Aitkin All Starz Booster Club and a merit badge counselor for the Aitkin Boy Scout Troup #52. Heather is a very dedicated wife and mother. She enjoys baking homemade treats with her daughter and sons. She also enjoys camping, hiking and raising chickens. Jessica joined the practice in January of 2013 as the receptionist. She grew up in Onamia and lived in Aitkin for 10 years after marrying Joe. She and her family have lived in Ironton for over 6 years now and recently renovated an old home in town. Jess and her family love to travel, mountain bike, kayak, and spend time together outdoors. Her daughter, Ella, enjoys running for C-I in track and cross country, so you will likely see them at those sporting events. 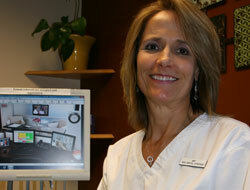 Amy has been a practicing Licensed Dental Hygienist since 2001, and with our practice since 2008. A native of Detroit Lakes, she has lived in Madison, WI; St. Paul, MN and currently resides in Brainerd. She has a daughter in New York City and son in Boston, MA. She enjoys being active and spending time with friends and family. Amy is available for dental appointments on Tuesday, Thursday or Friday. Steph has been practicing Dental Hygiene since 2013, after graduation from MSU-Mankato with her Bachelors degree. She is currently pursuing her Masters in Dental Hygiene Education from UMKC-Missouri. In her free time she enjoys spending time with her husband, family and friends. Steph is native and still lives in Little Falls, but loves to travel and sight see. She also enjoys the outdoors and working out. Schedule an appointment with Steph on Fridays. Penny is available by appointment.